Application to be on The Big Event Committee is NOW OPEN!! Posted September 17th, 2018 by Moira Pelton. 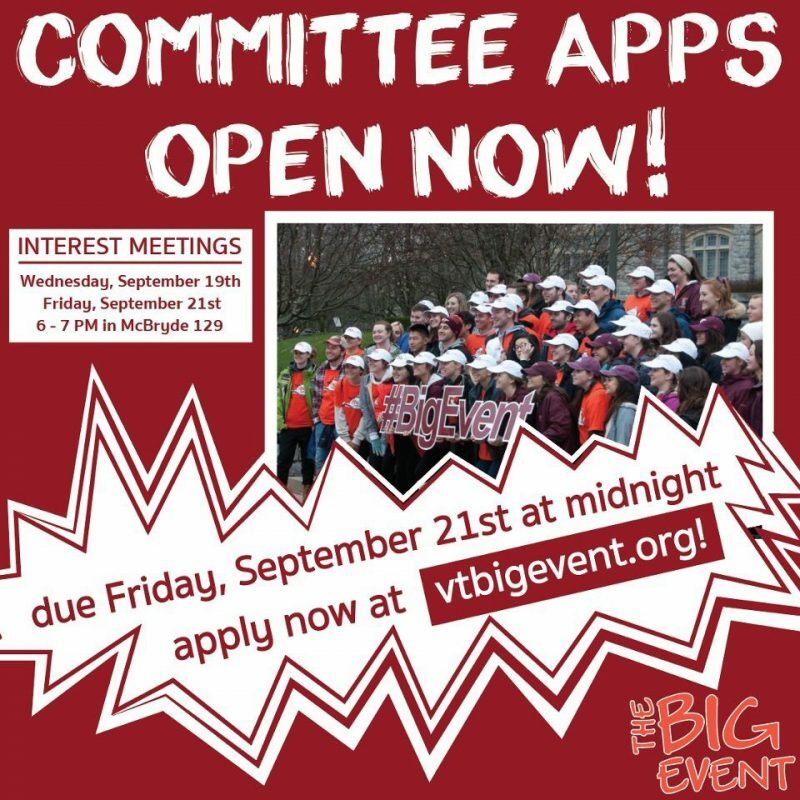 The application to be on The Big Event Committee is now open! This event is an extraordinary way to give back to the community and exemplifies the university motto of Ut Prosim. Hosting one of the largest service events in the nation takes a lot of preparation and work, we hope you choose to help us make this event the biggest and best yet! CLICK HERE to apply to be on a committee! Applications are due this Friday, September 21st at MIDNIGHT! To learn more about what it means to be on committee, attend one of our interest meetings! The interest meetings are on September 19th and 21st from 6:00-7:00 in McBryde 129! Come out to learn more.